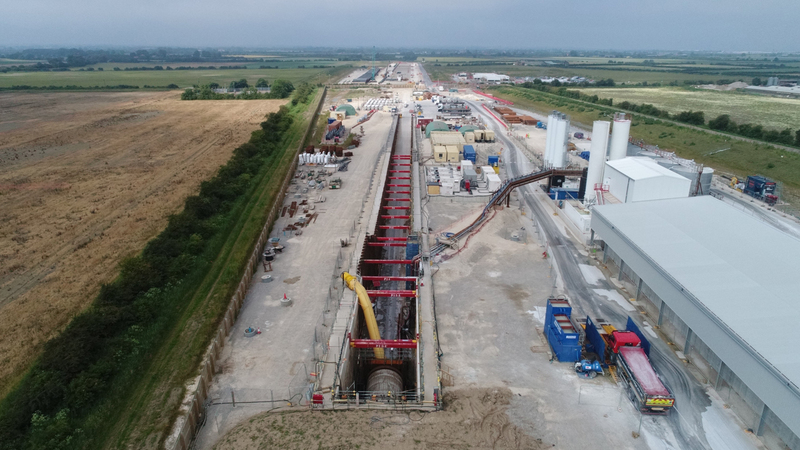 National Grid, working with North Lincolnshire Council and East Riding of Yorkshire Council, developed a plan to construct a tunnel under the River Humber to replace the existing pipeline. 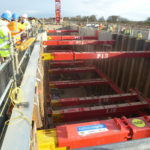 The three-year project will provide National Grid with a 5km long, 3.65m diameter tunnel bored 30m under the river bed. 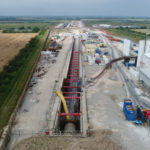 A single 1200mm concrete-weight-coated steel pipe will be inserted into the tunnel in a single string, making it the longest gas pipeline insertion of this kind in the world. 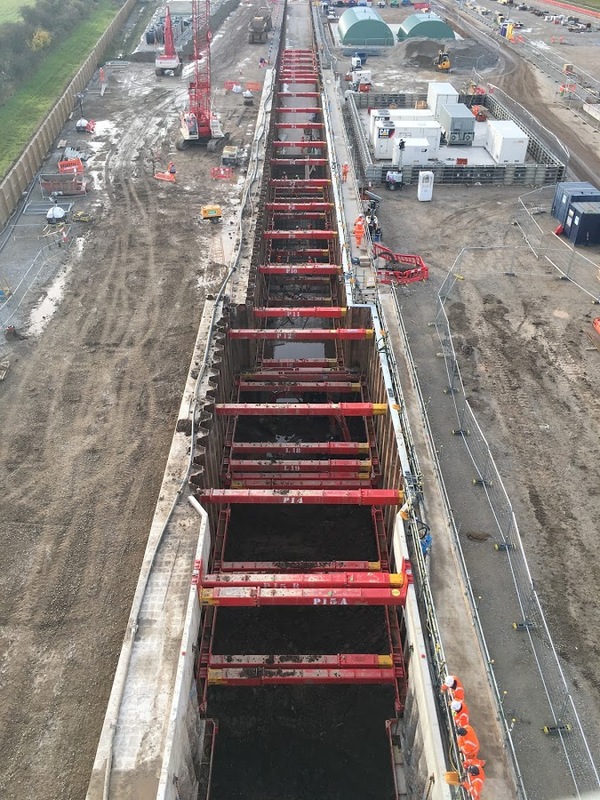 Working with the joint venture (JV) consisting of Skanska, PORR Bau GmbH and A.Hak, MGF’s in-house design engineers developed and manufactured a bespoke temporary works propping solution for the Tunnel Boring Machine (TBM) launch pit excavation. 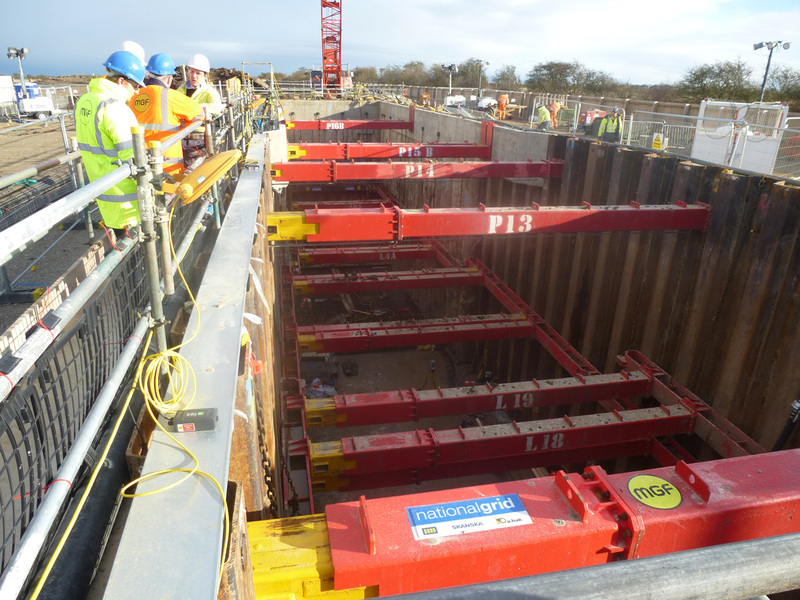 The excavation was 209m long by 8m at its widest point, ramping from ground level to 11m depth. 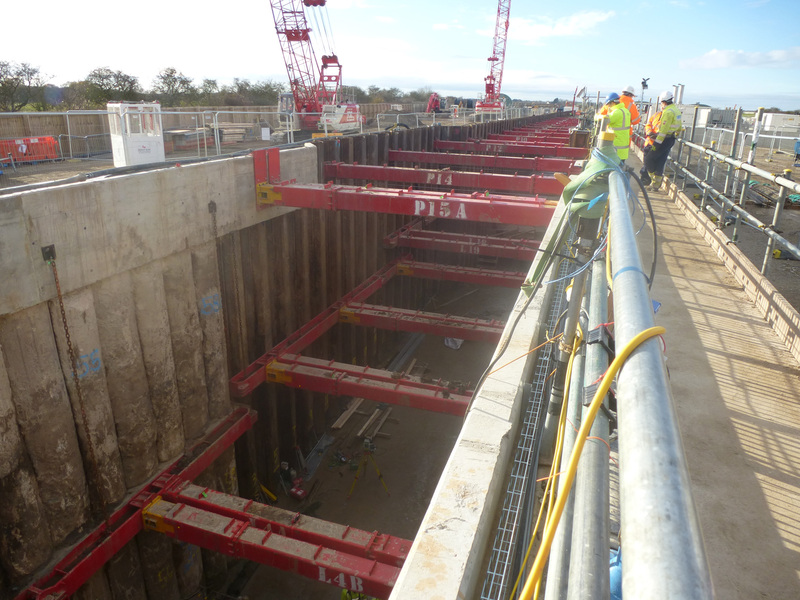 The deepest section, including the portal wall, was constructed with secant piles with PU32 sheet piles forming the remaining walls. 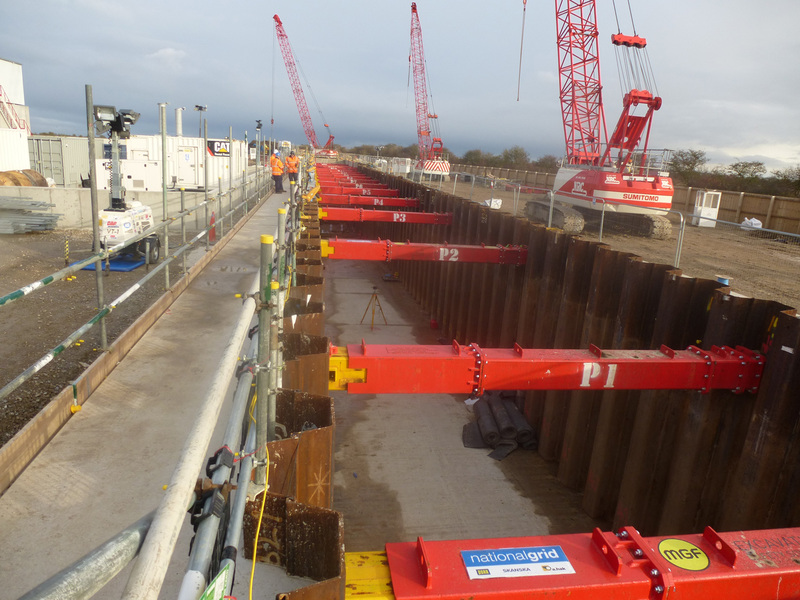 The propping solution consisted of 406UC Hydraulic Braces with 2500kN 400 Series Struts. 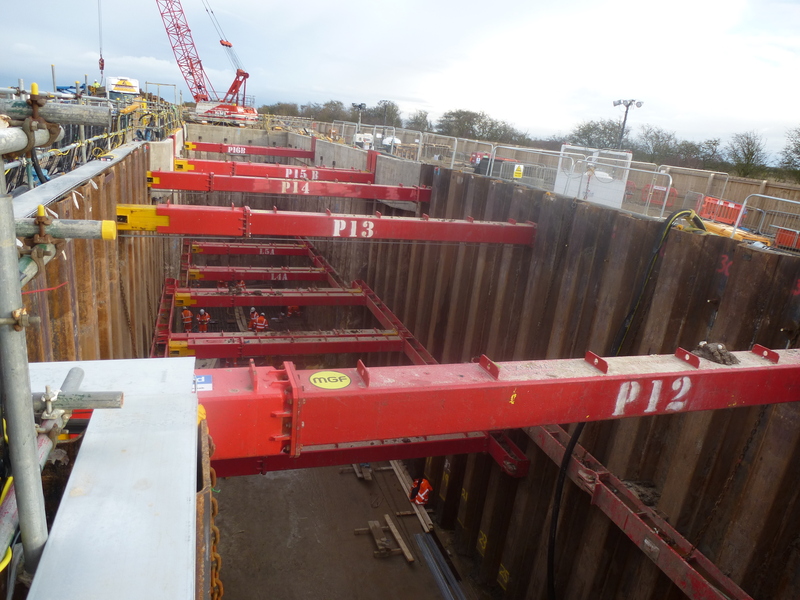 To accommodate the TBM installation the longer, high-level props were twinned with spans of up to 11m between pairs of props. 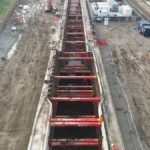 The headwall beam was primarily required for ease of excavation as knee braces are notoriously hard to navigate around with an excavator. 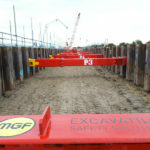 This ensured that the temporary works was sufficiently robust whilst maintaining an accessible working space; a technical aspect which separated MGF from the competition and was completed to Eurocodes. 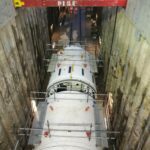 Additionally, there were concerns that accidental impact of the struts by plant could cause failure of the system, particularly during the TBM lift, as there was only 200mm space between the paired props. 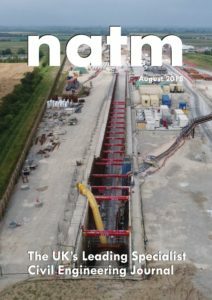 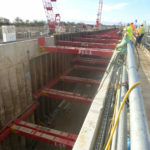 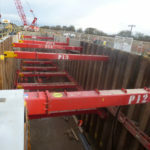 To mitigate this risk MGF designed bespoke connections to the capping beam, wailing beams and sheet piles to withstand an impact of 10-tonnes. 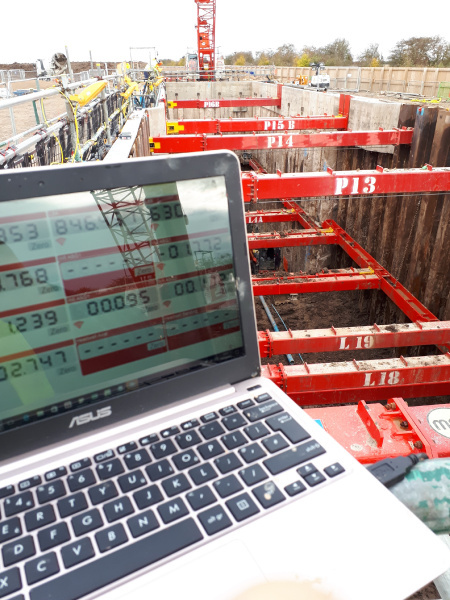 MGF used its in-house load monitoring system which actively measured the load and temperature of each individual prop, waler axial loads and bending and axial load in the headwall beam. 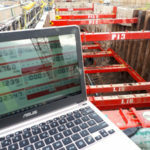 The data collected during the monitoring regime will have a significant impact on creating efficiencies in the design of hydraulic strutting and support of narrow closed trenches going forward. 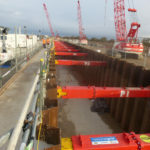 The project will take approximately two years to complete and top level of the temporary works will stay in place during this time. 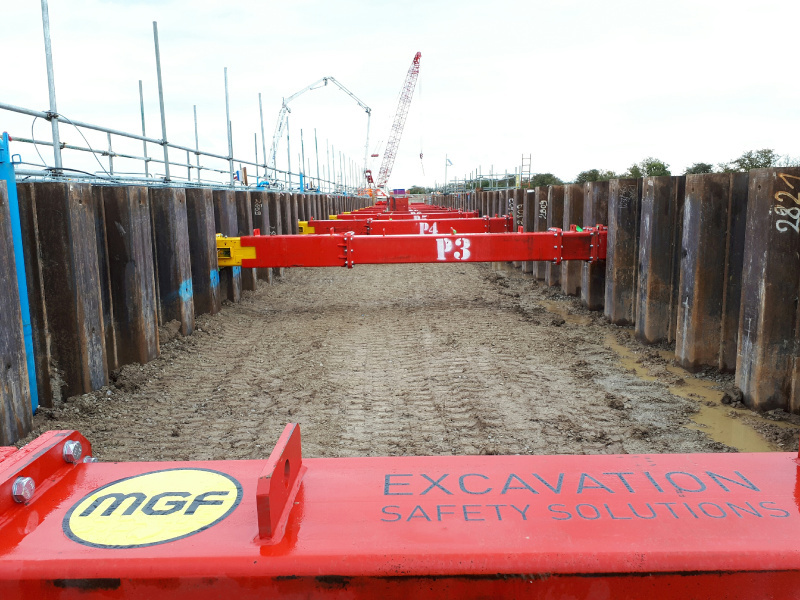 In an adjoining field, the pipework is being welded in top strings in readiness for insertion. 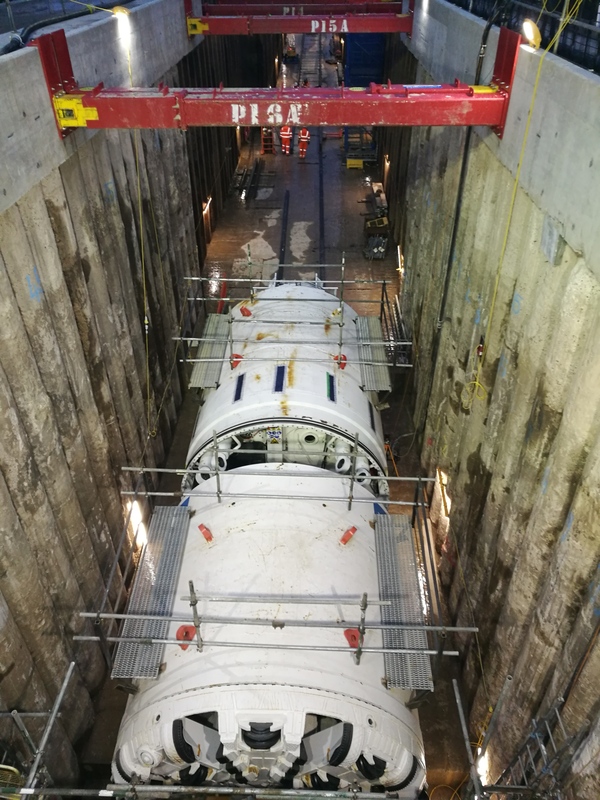 The tunnelling is currently underway with a slurry TBM.